Blutube®, the instantly recognisable and superior compressed air piping system, combines the numerous strengths of PE100 polyethylene with the flexibility and choice offered by three different connection methods, each offering unsurpassed ease of installation. The unparalleled design flexibility of Blutube® compressed air systems, coupled with quality componentry, offers the highest levels of safety, making Blutube® the system of choice for all Australian industry and specified by leading Mechanical Engineers. Blutube® offers quick installation, strength, safety, reliability and longevity with no maintenance required. Contact our friendly staff today for a quotation or store our details for your next project. 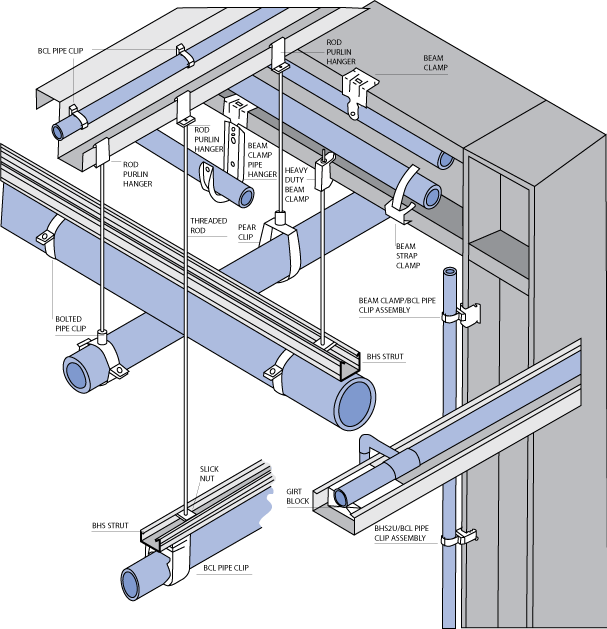 Blutube® is a system of the highest integrity and has an integral Safety Factor of 2:1. Suitable for compressed air pressures up to 16 bar and fluids up to 25 bar as per Australia Standards AS4130, Blutube® has higher strength, greater wall thickness, high pressure/ temperature capabilities with minimum 50-year design life. Extremely robust and impact resistant – is not brittle like PVC & PP, (PVC is not safe for compressed air). Excellent for under-ground applications. Thermally stable and suitable for continuous operation within the temperature range of -20deg C to +60deg C, Blutube® can withstand short term rises to 95 degrees celcius. Blutube® is corrosion free. Air quality and flow rates are not compromised by age. Traditional galvanised iron air pipe corrodes causing contamination of air supply damaging tools & pneumatics, increased friction resulting in energy losses, reduced bore and eventual need for replacement. Blutube® is approved for food plants as it does not support bacterial growth or micro-organisms and complies with AS2070.1 “Plastic material for food contact use”. Compression fittings conform to AS4129, BS6920, threaded fittings to AS3855.3 Blutube® is also suitable for breathing air systems. Blutube® has extensive chemical resistance/compatibility and provides a solution for corrosive environments. The three fitting ranges available offer various solutions; Compression Fittings come standard with Nitrile 0 rings and Acetal grip-rings, for some chemical applications Viton and EPDM 0 rings and CPVC grip-rings can be used. Blutube® Socket Fusion provides for a continuous use of identical pipe & fitting material. Please refer to Technical Department for specific applications. Blutube® provides engineers & designers maximum flexibility with Socket Fusion, Electro Fusion and Compression fitting ranges. This system assists Australian Industry by a total package which is readily altered and changed with minimal “shutdown” time and is ideally suited to today’s requirement for quick installation. Download product information in PDF format.